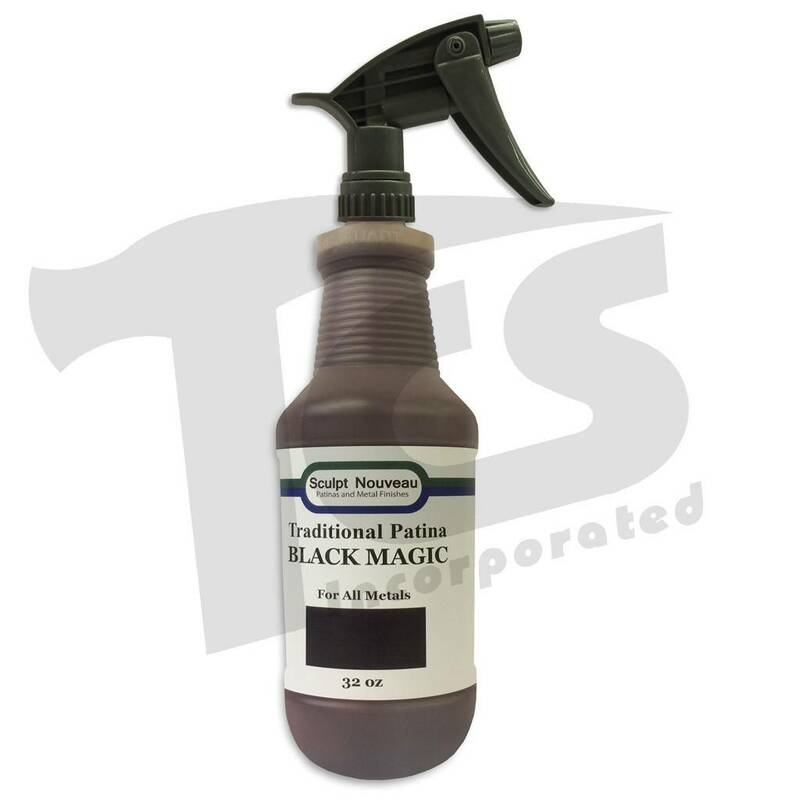 Black Magic Patina instantly creates a beautiful rich black patina on clean iron & steel. 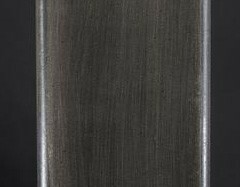 Rust will not occur immediately as with other darkening patinas. Water rinsing is a good neutralizer and will not cause rust. 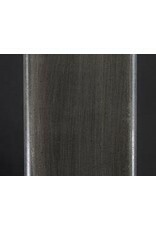 Rust will occur after 12 hours if a clear sealer is not applied. Black Magic will darken bonded bronze, brass, and copper castings as well as Sculpt Nouveau's Metal Coatings to an orange-black color. 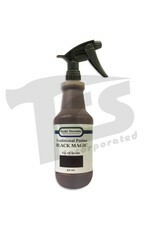 Black Magic creates a beautiful brown-black patina on cleaned bronze, brass, and copper.